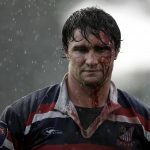 Melbourne Rising claimed a second bonus point win in succession with a 45-13 victory over the Sydney Stars at a sun-splashed Leichhardt Oval on Sunday afternoon. 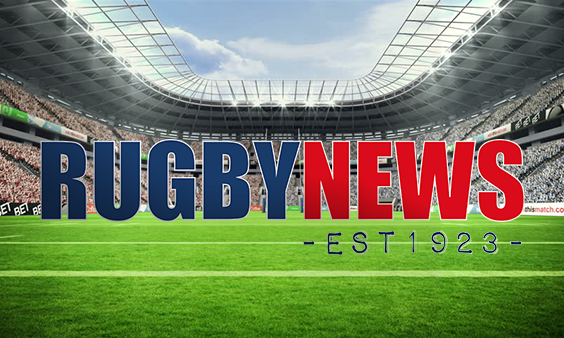 The comprehensive win – the second time in a row the side has scored over 40-points – puts the Rising back on top of the table after relinquishing number one position for the night as NSW Country defeated Queensland Country on Saturday. 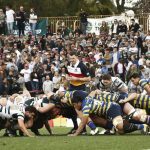 The Rising converted an eight point halftime lead into a 32-point win with a three-try second half blitz that a committed but outmatched Stars outfit couldn’t keep up with, remaining scoreless in the second stanza. Sefanaia Naivalu was outstanding again for the Rising in the centres. A double try-scorer against the Rays last week, he’s a handful in attack, not much gets past him in defence and Super Rugby is a near-certainty in the future. Captain Nic Stirzaker continues to show his class from the base of the ruck, mixing it up between smooth, long passes and sniping darts around the breakdown and controls the game well alongside flyhalf Jack Debreczeni. Debreczeni was the standout player on the field with a hand in most of the Rising’s tries and controlling the game with a maturity well beyond his 21-years. For the Stars, James Dargaville and Jim Stewart continue to impress. Each crossed for a try while the forwards were well-drilled but couldn’t stay with the Super-trained Rising pack. Will Skelton was busy in his first NRC match for the Stars and handled the pace of the game well while Southern Districts forward Andrew Leota was in the thick of the action throughout. The opening try was all too easy for Rising halfback Nic Stirzaker who darted down the short side and stepped Stars fullback Matt Kenny on the tryline for the opening points of the day and a 5-0 lead. If the first was easy, the second, 10 minutes later, was all class. Flyhalf Jack Debreczeni spotted space behind the defensive line and sent a deft grubber which bounced nicely for centre Sefanaia Naivalu who picked up and offloaded in one motion for Mitch Inman to run away under the posts. Debreczeni converted for a 13-0 lead. Despite a couple of well-worked moves deep into the Rising territory, the visitors’ staunch defence kept them at bay until fullback Kenny found space out wide and offloaded for James Dargaville to get the Stars on the board. Australian Under-20s centre Jim Stewart quickly added the Stars’ second to level the scores ten minutes before the break. Debreczeni continued to be a handful when attacking the line and a nice offload 15-metres out from the line put winger Telusa Veainu over for a 21-13 lead. The Rising picked up where they left off in the second half as Sam Jeffries powered over from close range for a 29-13 advantage. Another brilliant Debreczeni grubber and a committed chase created space on the left for Naivalu to score in the corner and Joe Kamana dotted down five minutes before fulltime for the 45-13 scoreline. 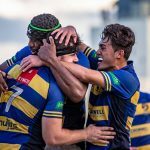 The Stars are left to lick their wounds with a bye next weekend while the high-flying Rising travel to Queensland to play Brisbane City who came from behind to beat Perth Spirit 26-21 in a thriller in the West.